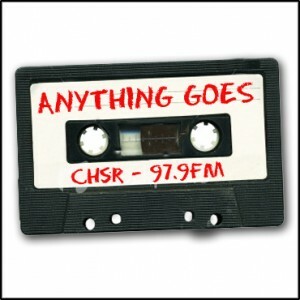 This week’s Anything Goes is kinda different. I talked a lot this week about Radiohead and polled social media on which Radiohead album is their favourite. After an overwhelming response from people far and wide it turns out that Kid A took the top spot. While searching CHSR’s music library for the CD I also accidentally stumbled upon an interview conducted by Nic Harcourt of KCRW 89.9FM, recorded October 12, 2000 in New York and broadcast in Los Angeles. It’s with Jonny and Colin Greenwood and they talk about recording Kid A and intercut tracks from the album. I found it super interesting and hopefully you do too.